Mamadouba (Mimo) Camara was born and raised in Conakry, the capital city of Guinea, West Africa. He is a renowned dancer, percussionist, choreographer and former lead dancer with Les Ballets Africains (the national dance troupe of Guinea). Mimo traveled the world performing for heads of state, visiting dignitaries, and presidential inaugurations. Upon emigrating from Guinea to the United States he has made his home in the Hudson Valley since 1995. 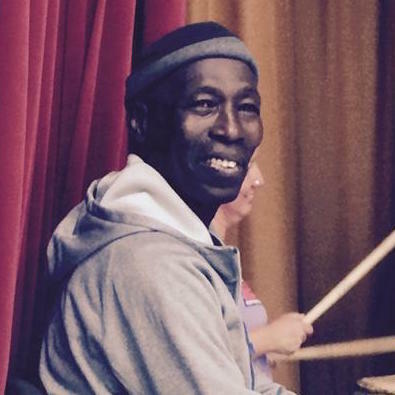 Along with his wife Pam, he teaches drum and dance to children and adults alike. Teaching workshops and performing throughout the northeast, Mimo shares the colorful heritage of his homeland through the lively arts of dance, drum, and song. And does so with an open heart and a smile that lights up the world!